Without effective data management, the benefits of migrating to SAP HANA can be reduced—or nullified. 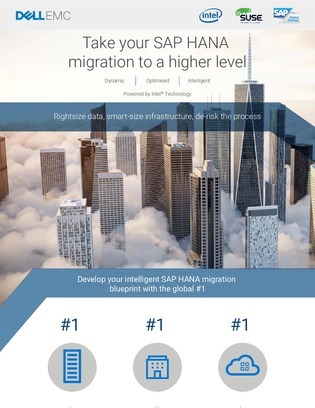 For more information on how Dell EMC Ready Solutions for SAP HANA can streamline your SAP environment, view this infographic, and decide for yourself if Dell EMC for SAP HANA is right for your next migration. Download this resource to learn more about Dell EMC Ready Solutions for SAP HANA, powered by Intel® Technology.